We are so excited to be hosting TWO Grof-certified facilitators for this special weekend of connection through breath, sound and horses! I met Kirsten Kairos last year and just knew . . .the minute I met her. I just knew. She is professional, compassionate and so very experienced. Kirsten’s co-facilitator is Dory Perry. You can trust you will be in good hands. The Farm will be your sanctuary for this retreat. Learn more about Holotropic Breathwork. Read more about Kirsten and Dory. View the event flyer and share it with your friends. Thank you! 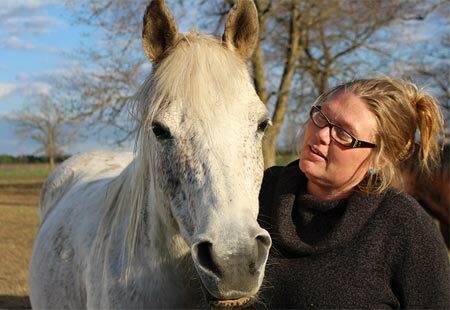 Join Kirsten Kairos, Dory Perry, MSEd; & Sara Sherman, Connection Specialist and Founder of Discovery Horse, for a powerfully unique experiential weekend as we journey inward revealing what is waiting to be discovered and integrated in order for us to move ever closer to our truest nature. Now more than ever it feels imperative that we deeply connect to self, others and all of life with the passion and purpose that is inherently ours. Holotropic Breathwork, developed by world-renowned psychiatrist and researcher, Stanislav Grof, invites the breather on a deep journey inward supported by accelerated breath, evocative music, requested focused energy release techniques and integrative process via mandala drawing and group sharing. This process is for those wanting to identify and release old patterns, to heighten creativity, to understand the importance of powerful transformation, to open to positive possibilities, to heal past traumas and benefit from clearing unprocessed life experience that may be cluttering the path to living authentically. The use of sound as medicine throughout the weekend awakens our senses to the subtle. We become more receptive to simple cues and are more able to fully relax into our bodies and feel into our emotions as we drop out of thinking mind. Vibration is within us and around us. Working with simple sound, we begin to understand we can consciously choose how we move within the flow of energetics to engage in our daily lives with more ease and conscious purpose. 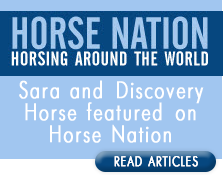 Our extraordinary time with horses, led by Connection Specialist and Founder of Discovery Horse, Sara Sherman, demonstrates the power of equus (the horse) as partner, space holder, mirror and compassionate teacher and invites us deeper into the heart as we learn more about self-awareness, integration and confidence. This is a rich part of our weekend! *No prior experience is necessary for interaction with horses. 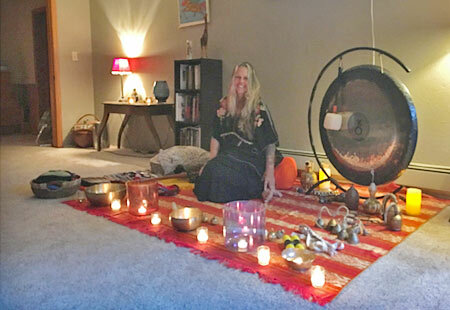 Friday night is our preparation for the Saturday sessions, which includes an opening circle, Q&A, choosing a partner for breathwork and an experiential exploration of the evocative music used in a typical HB session. We will end with a beautiful Sound Sanctuary experience to drop us in a bit deeper before departing for the evening. Please plan to hold silence as much as possible until we reconnect Saturday morning. This helps us remain connected to the inner space for our process. We will provide tea and light snacks. Saturday includes a brief check-in, meditation walk with the horses, HB session 1 with mandala integration w/ horses, lunch, meditation walk with the horses, HB session 2 with mandala integration w/ horses, dinner & group sharing. Sunday morning we gather for our final day, which includes Moving Sound Meditation, Equine Gestalt integration session with equus & our closing circle with a discussion about ongoing integration and support. Please note: All interaction with the horses is on the ground. There is no riding. Dandelion Farm has a full kitchen and two bathrooms available to everyone. Please come prepared to feed yourself and practice self-care in whatever way feels good. Please bring a bagged lunch for both Saturday and Sunday. We will provide a simple group dinner Saturday evening and snacks, tea and water throughout the program. *Please bring a bagged lunch Saturday. We will provide a simple group dinner on Saturday with tea and snacks throughout the retreat.